Author Interview – Kristy Cambron! I’m so excited to introduce you to Kristy Cambron! She’s a dear friend of mine who has been fascinated with history since hearing her grandfather’s stories of his experiences as a B-17 co-pilot in WWII. 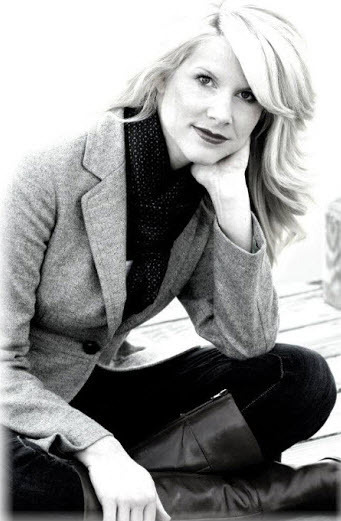 She writes vintage-inspired, historical Christian fiction titles, which placed first in the 2013 NTRWA Great Expectations & 2012 FCRW Beacon contests, and finaled in the 2013 Lauries. 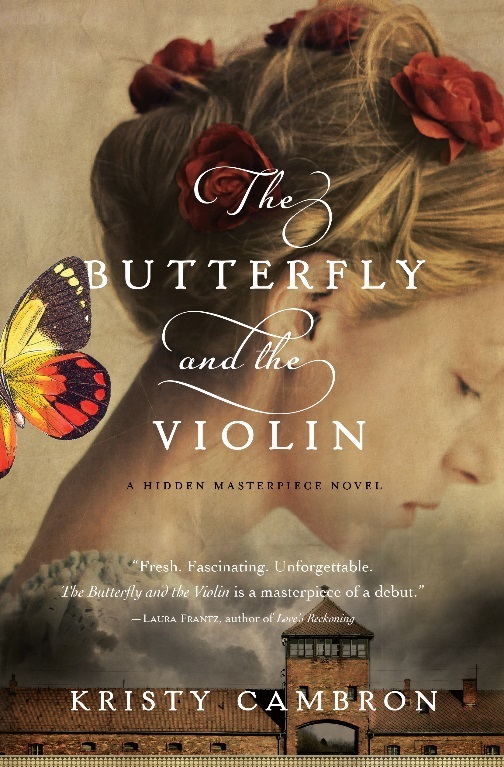 Her debut novel, THE BUTTERFLY AND THE VIOLIN (Hidden Masterpiece #1) released in July 2014 from Thomas Nelson (HarperCollins Christian Publishing), and is a nominee for the RT Reviewers’ Choice Best Inspirational Novel of 2014. A SPARROW IN TEREZIN (Hidden Masterpiece #2) will release from Thomas Nelson in April, 2015. She’s a proud first-time aunt, who lives in Indiana with her husband and three football-loving sons (where she can probably be bribed with a coconut mocha latte and a good Christian fiction read). Manhattan art dealer Sera James watched her world crumble at the altar two years ago, and her heart is still fragile. Her desire for distraction reignites a passion for a mysterious portrait she first saw as a young girl—a painting of a young violinist with piercing blue eyes. In her search for the painting, Sera crosses paths with William Hanover, the grandson of a wealthy California real estate mogul, who may be the key to uncovering the hidden masterpiece. Together, Sera and William slowly unravel the story behind the painting’s subject: Austrian violinist Adele Von Bron. A darling of the Austrian aristocracy, talented violinist, and daughter to a high-ranking member of the Third Reich, Adele risks everything when she begins smuggling Jews out of Vienna. In a heartbeat, her life of prosperity and privilege dissolves into a world of starvation and barbed wire. As Sera untangles the secrets behind the painting, she finds beauty in the most unlikely of places: in the grim camps of Auschwitz and in the inner recesses of her own troubled heart. Kristy, The Butterfly and the Violin is a warmhearted, tender story set against the dramatic backdrop of World War II. What made you decide to choose this time period? More than ten years ago, I was a young art student in a college history class. I remember the distinct moment when the professor presented a topic I’d never heard of – the art of the Holocaust – and I was captured from that moment on. I devoured books on the subject (especially Elie Wiesel’s Night, which I still read every year). I remember hearing that whisper in my soul, that this topic was special; the art of creation and worshiping God, even in the midst of the most horrific of circumstances one could imagine – it’s a stunning expression of beauty that I’m still trying to understand. And though it’s a very weighty subject, I wanted to give a voice to these known artists, to help others hear their story. So I stored the idea away, hoping that someday I’d know what to do with it. It just so happened that God opened the doors for it to become a book a decade later. I know you love Jane Austen novels, like I do. Were you influenced by Austen while writing The Butterfly and the Violin? Or by any other authors? I actually started my writing career penning stories in the Contemporary Romance genre, though I noticed early on that all of my story ideas centered around vintage themes – including the writings of Jane Austen and Regency England. I’d written four contemporary manuscripts before I tried crafting a historical storyline. It was in writing the first few chapters of a historical novel that I finally felt at “home” as an author. Using the research from my undergraduate work in Art History/Research Writing years before, I was able to really dig in and focus on the topics I love in both art history and classic literature. So while Jane doesn’t have a specific mention in these books, I do mention other classic novels: Alice’s Adventures in Wonderland in THE BUTTERFLY AND THE VIOLIN, and Dickens’ Little Dorrit in A SPARROW IN TEREZIN. Who is your favorite character in The Butterfly and the Violin, and why? What a fabulous question! While many aspects of Sera’s character includes things I naturally gravitate to (Paris, art history, Manhattan, to name a few), I have always felt a particular kinship with Adele. I love her journey in this book. I was moved by the depth of her faith, and how it guided her in the most dire of circumstances. And her strength – even that which she wasn’t sure she possessed – was something that served as a witness to me in my own life. Portions of Adele’s story were edited while at the local cancer center as my Dad underwent chemo, and the remaining chapters were edited in the weeks after he’d passed away in late 2013. So the strength that Adele was able to summon in the midst of her grief displayed a deeper level of hope that even I could draw from as the author who created her. What ways are you finding most effective for marketing your debut novel, and what are you planning to release next? Right now, we’re working on bringing the follow-up novel to THE BUTTERFLY AND THE VIOLIN to store shelves in April, 2015. A SPARROW IN TEREZIN tells the story of the children of the Terezin ghetto, north of Prague. The historical story continues with one character from The Butterfly and the Violin, as well as introducing new characters who live through The Blitz in London and the war-torn world of Nazi-occupied Prague. Sera and William will be back in the contemporary storyline, though their journey to happiness is tested in similar ways to the characters in WWII-era Europe. Readers can click here to read the back cover summary, and can click here to read a deleted scene from the book! And I hope everyone stops by my website in the weeks to come. I should have some exciting news to share about what I’ll be writing next. It’s still historical fiction, but it’s a new genre for me. I can’t wait to share this story with you! Thanks for stopping by today. I love to get to know readers! I look forward to connecting with you on social media. And if you’re an aspiring writer, I hope to meet you at the national ACFW Conference in September 2015. The Butterfly and the Violin, Hidden Masterpiece Book #1 – Available now – and a wonderful holiday gift! 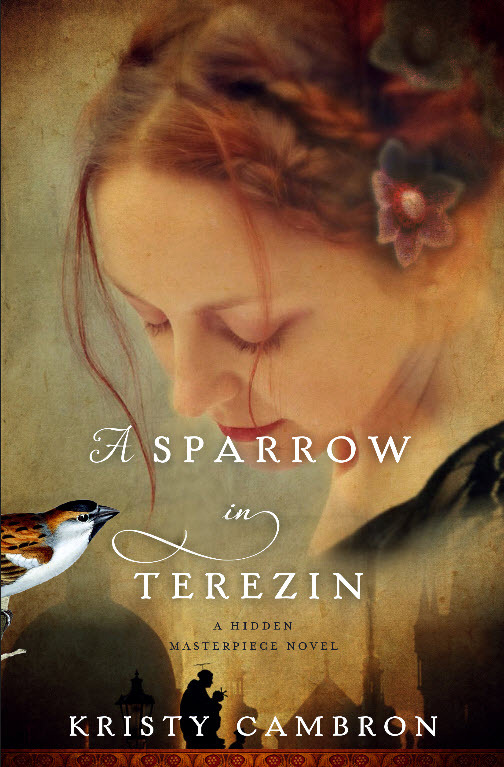 A Sparrow in Terezin, Hidden Masterpiece #2 – Coming, April 2015!